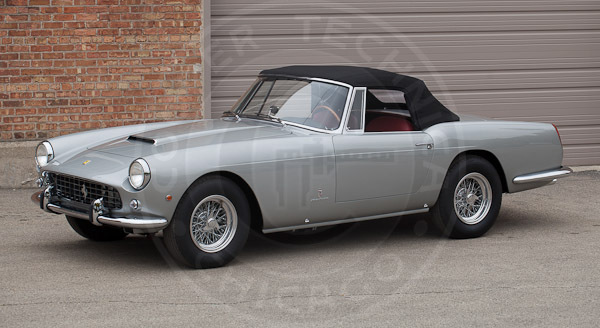 Ferrari built 200 of the 250GTPF Cabriolet Series II models from 1959 -1962, featuring the new 128F V12 engine and disc brakes. 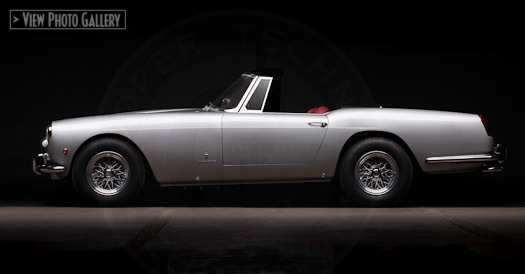 This car was originally owned by Temple Buell, Jr., a racer and active car collector in Denver. 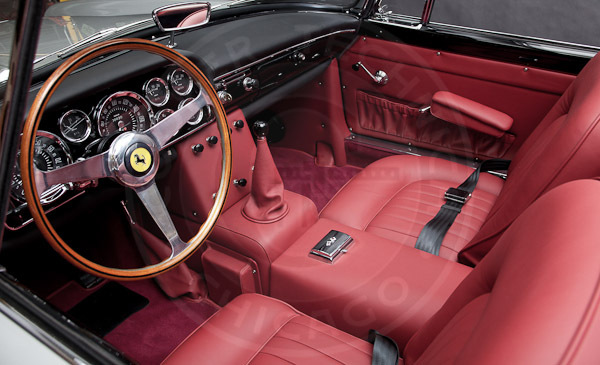 In 1967 the Ferrari was purchased by Emil Massa, an orthopedic surgeon, who drove the car extensively for the next 39 years. 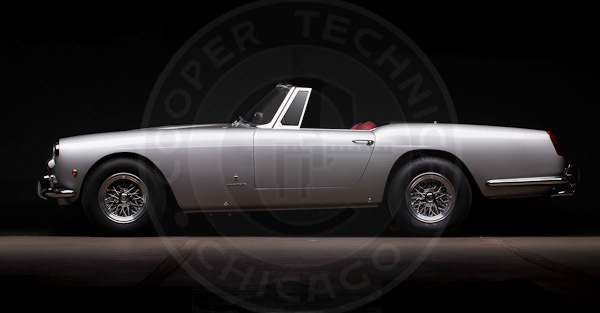 The current owner ordered a complete restoration from Cooper Technica, including repainting the body in its original color, silver- grey metallic. 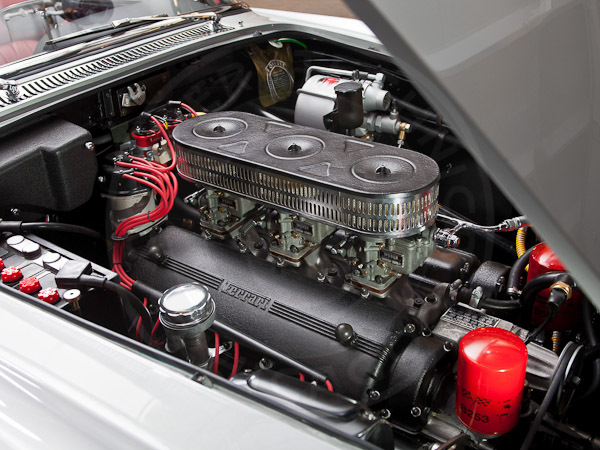 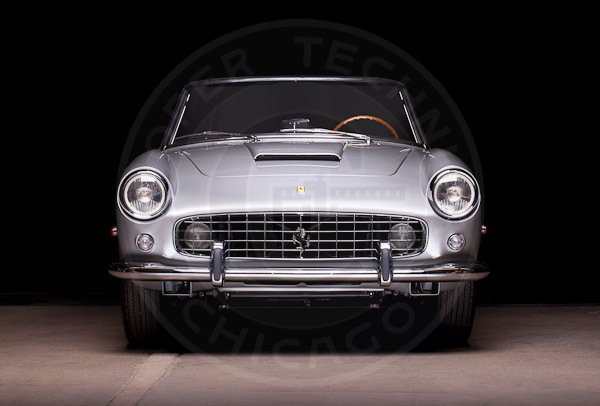 Cooper Technica just completed the restoration of this 1962 Ferrari 250 GT Pininfarina Cabriolet Series II. 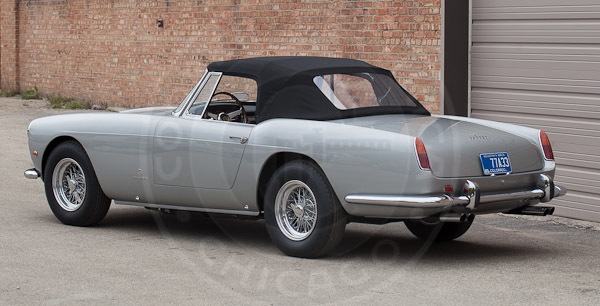 The car was repainted in its original silver-grey metallic color. 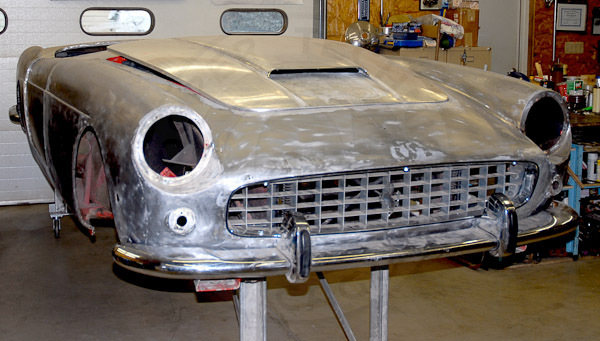 Ferrari body stripped to bare metal, sheet metal repairs completed. 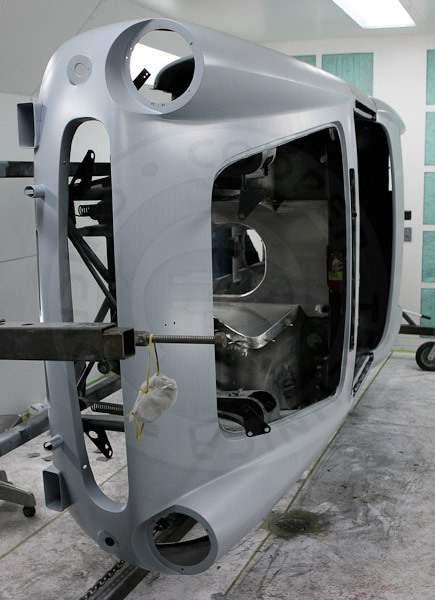 Body mounted in rotisserie in paint booth, body in primer, underside being painted.